As the UK leaves the EU, and comes to the end of the Pillar 1, land area based subsidy schemes, it is important for farms to look beyond BPS, and towards future routes for receiving agricultural support. These are likely to materialise through increased government focus on environmental support payments, and other grant based schemes that promote the purchase of equipment and machinery to boost the efficiency and profitability of farming operations. With the government under significant pressure to fund all sectors of the UK economy, these streams of funding will be far easier to justify to the public than the current regime of money for land owned or land farmed. Where possible, farms should look to take advantage of available grant funding schemes, in order to purchase machinery and equipment that will modernise farming practises, and help them survive in a world without subsidies. With current schemes providing up to 40% funding towards the total cost of eligible expenditure, grant funding makes it possible to take up more productive techniques that would otherwise be out of reach. With the removal of BPS set to take a large chunk out of the bottom line of all farms around the country, it is only those that are able to bridge the gap that will survive. Brown & Co have successfully helped a large number of farms take advantage of past and current schemes, gaining almost £20m of funding through the LEADER Scheme, Growth Programme, Countryside Productivity Schemes, and other schemes nationally. These projects have been for a wide variety of projects, ranging from irrigation infrastructure upgrades, to projects in farm diversification and tourism. We have seen our clients take advantage of grant funding to generate cost savings, and revenue increases, all with the end goal of ensuring their future sustainability for the years to come. The precise nature of future schemes is as yet uncertain, but as soon as the next round of funding is rolled out, anticipated sometime in 2019, we will be encouraging our clients to invest in the equipment they need to remain competitive in an ever more challenging market place. Simon Wearmouth and Josh Crick provide an insight into the successful grant application process for water management projects with Richard Cobbald at South Pickenham Estates. 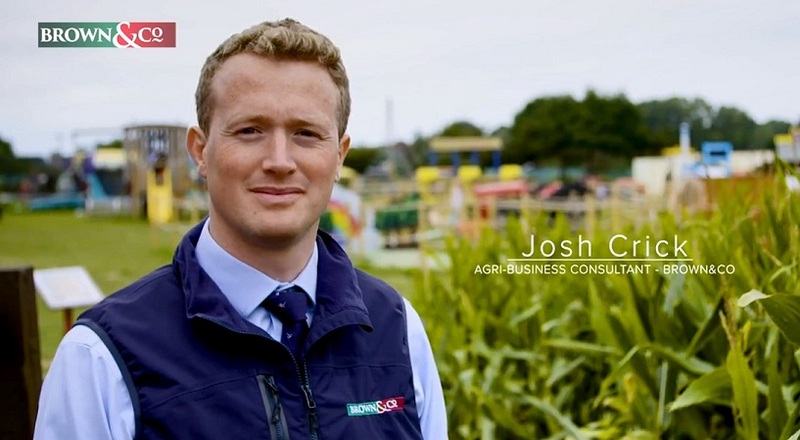 Josh Crick guides us through the grant application process for further diversification and investment at this family-owned and run visitor park, with Richard Hirst, Park Owner.